Pop – 1.2 milion, 16, 387 km sq. The Provincial capital of Steiermark / Styria is Graz pop 245 000. Graz is the 2nd largest city of the country. and 75 % is mountainous. Steiermark/ Styria has beautiful mountains, lakes, valleys, cities and towns that offer outstanding year round recreation, as well as cultural and historical treasures to discover, and our itineraries can help you to do that with ease and comfort as they guide you through the fantastic province of Steiermark/ Styria for an incredible experience to remember. In Steiermark/ Styria ancient folklore, songs and dance are maintained, the grey-green Steiermark/ Styria suit is something of an Austrian national costume. all the way to the magnificent and highest peak of 2 098 m, the Dachstein / roof stone – of the Province. 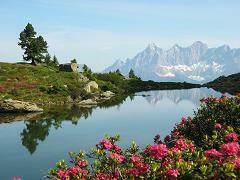 This is the Schladming-Dachstein-Ramsau Region. Steiermark / Styria has countless km of walking and hiking trials and several provincial and national parks. Conquered by the Bavarians in the 8 C the country became a Mark of the Frankish Empire. In 1180 Emperor Friedrich I ( Barbarosa) raised Steiermark / Styria to a Duchy. Passed to the Babenberg Duke Leopold I of Austria in 1192. 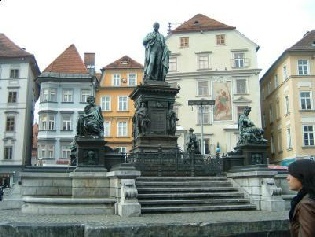 Graz was capital of Inner Austria 1564 – 1619. When Ferdinand II moved to Vienna after being elected (in Frankfurt) Holy Roman Emperor the capitals of the two administrative regions Upper Austria- Ostmark and Inner Austria united into one. 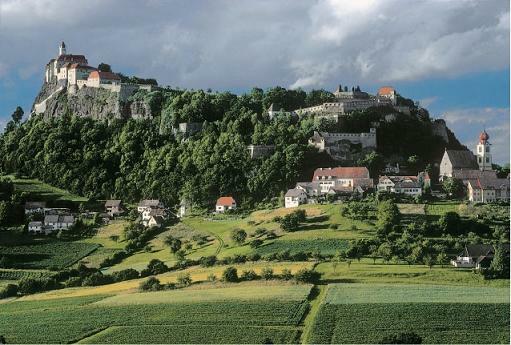 Riegersburg was built as one of the greatest fortresses in Christendom – to defend against Eastern invaders. Graz Introduction Guide: Graz has a marvellous setting of several architectural periods and a great medieval old town feeling. A certain quaintness and old world charm fill the city. The cities fascinating architecture lead UNESCO to declare Graz’s historic town center as a World heritage site. The city has a Mediterranean flair with wonderful medieval Platz’s/ Square’s, the tree-covered Schlossberg and City Park. 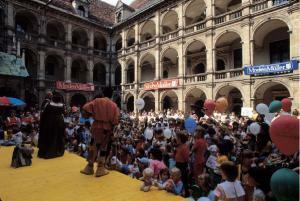 The Styrian Autumn Arts festival, and Graz Erzahlt /story telling event also bring many visitors to the city. Our itinerary will guide you to all the hi-lights of this beautiful city. Strong industry, it’s wealth of natural resources make Steiermark/ Styria part of the economic heartland of Austria. Heavy industry is concentrated in the Mur valley below Fohnsdorf and the Murztal. Metal and machine industries, sawmills, paper and cellulose industries are important as are Automotive manufacturing. Other important industries include: computers, machinery, agriculture, wine, lumber, steel, paper, chemical textile, leather, food products, optical instrument and health science instruments. Steiermark/ Styria Beer- Bier Guide: The brands of Steiermark/Styria are: Goesser, Murau, Renninghaus, Puntigam and Schladminger. Steiermark / Styria Wine Guide: The wines of the province are Welschriesling, Weissburgunder, Traminer, and Schilcher. 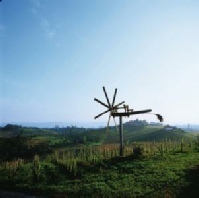 Our Itineraries will guide you to a wonderful visit of the wine region of Steiermark/ Styria. Steiermark / Styria Events / Hi-lights guide – Many festivals including Wine festivals, Fasching/ Carnival Parade, World Cup Winter- Ski-races Schladming. Exhibitions - Messe held in Graz Spring and Fall are large regional commercial / industrial and cultural events. Through out the summer months there are many local festivals. 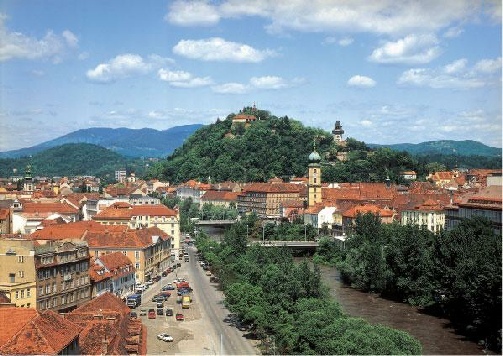 Steierjmark / Styria Trivia guide: Graz is the hometown of Gov. Arnold Schwarzenegger, 2003 European Culture capital, a university town and a UNESCO site. This itinerary will guide you around Graz - it’s well known and lesser know sites. The Itinerary will also guide you to interesting and attractive sites throughout the picture perfect regions and historical cities and villages of the beautiful province of Steiermark /Styria. Our complete Travel Guides of our Austrian Self-guided Tours/ Itineraries including many site-seeing ideas and options, tips, routes, the directions you need to guide you from one venue and town to the next in an efficient manner. Each Itinerary/ travel guide is scheduled to guide you through each day of great site-seeing and enjoyment, and much more for your optimal self-guided / self-driving tour of Austria. Please see our Itineraries available to purchase in Pdf format.